The (long-overdue?) impetus came while I was sitting in traffic. I’m around that “Saturn return” point, which – whether true, false, or ambivalent – has provided an opportunity for a different kind of reflection and engagement with pretty much everything. I was mulling something over, and chuckled to myself thinking, “Saturn has not done with me yet”. And just as sometimes happens, it triggered a flashback to something I hadn’t thought about in years. Specifically, my final soliloquy as Medea – that bold, tormented, infanticidal, jilted lover who finally takes her own life. I’d (precociously) played the title role in the Countee Cullen adaptation back in 2002. When will you shape another as miserable? Have you not done with me yet? What could you engender but evil men? But neither god nor man shall conquer Medea. Gee dem gyirl! And she goes on for some time after this, as she’s wont to do. But I remembered it like I’d performed it yesterday. And I felt a tremendous sense of longing to have that kind of bold, arresting language in my mouth again! The kind of text you don’t dare ad lib or fudge in performance, because of the careful way the words have been ordered and chosen by the author to conjure something very, very specific. In a time where we use words so carelessly, dispatching them via BBM, SMS, half-baked social media statuses, and mindless small talk to each other, I miss that kind of theatre. Desperately. And…it was a good reminder. Medea was a remarkable, complex character. No doubt at my second or even third Saturn return – Universe willing – I shall continue to find new ways of seeing and feeling her, and hope I’ll have a chance to conjure her on stage once again. While I don’t share her capacity for vengeance, or self-destruction, it’s been a trying few years, so I’ve certainly had my moments of vainly cursing and challenging whomever or whatever may have been presiding over the proceedings. The darkness and tragedy aside, I do think about her passion and her drive, her boldness in action, her absolute and unrelenting conviction, and how important it is to have those as we pursue the things (and people) we love. Our greatest weaknesses are also our greatest strengths. And while I am always wary of absolute convictions (they seem often to preclude dispassionate consideration about the validity of those convictions), I think when we are honestly, deeply, passionate about something that ennobles us – and perhaps those around us as well – we have an obligation to honour that. 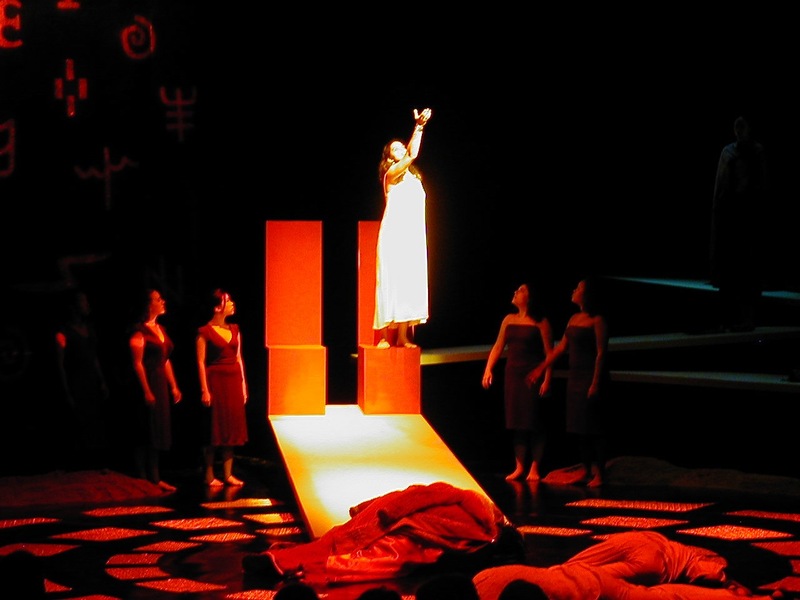 How about a production of Medea in TT?